This page includes comments and user testimonials about XLS Padlock from just a few of our satisfied customers, some awards and links related to XLS Padlock. If you have suggestions, feel free to contact us. Just a quick note to congratulate you all at G.D.G. Software on the XLS Padlock 2018 version. I am a very happy user of XLS Padlock. [...] You deliver great software. Thank you for making my life easier (and more fun). I sell a commercial application using XLS Padlock as my excel protector/compiler and as well the joint program Paquet Builder to distribute. I have had no issues with XLS Padlock or others that run the software I distribute and find it very simple and effective to use with some good features. Only issue that I found is my customers have different versions of Excel and the older the version the more challenging it gets when you add a lot of VBscripts and macros. If you're able to test your XLS apps on Excel ver 2007 and up you will find the XLS Padlock works on them all very well. 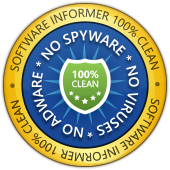 Softpedia guarantees that XLS Padlock is 100% Clean, which means it does not contain any form of malware, including but not limited to: spyware, viruses, trojans and backdoors.